Collecting data in a mobile augmented reality (AR) settings is challenging, as participants are dispersed in the physical space and move often; therefore, it is imperative that new techniques are investigated to facilitate richer and more ecologically-valid data collection. 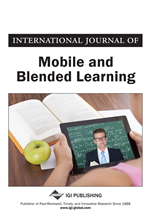 This study examined three in vivo techniques for collecting authentic data in mobile, AR learning situations: (a) tablet-based audio recording, (b) students' researcher-led videotaping, and (c) head-mounted wearable cameras. Participants were eighteen 11th grade students, working in pairs. All students completed individual questionnaires examining their perception of the intrusiveness of the data collection technique and participated in interviews about the intrusiveness of technique. Audio and video from students' work was also collected. Findings are used to discuss the advantages and disadvantages of each data collection technique as a method for collecting data in location-aware augmented reality studies. In mobile AR learning settings students are often asked to work collaboratively in small groups, are dispersed in the physical space, and move often. This presents challenges to researchers, and often necessitates more human resources to support the learning process and field-based data collection. In an article on how to evaluate mobile AR experiences, Reid, Hull, Clayton, Melamed, and Stenton (2011) discussed that data in AR settings can be collected through three approaches: retrospective data, such as questionnaires or interviews, concurrent (in vivo) data collection, such as data logging and video, or interventionist think-aloud protocols. Retrospective data collection methods, such as questionnaires and interviews, can be inadequate for capturing the role of real-time, in-situ interactions that mobile AR technologies can support (Sakr et al., 2015). Methodologies such as planned interruption and prompting think aloud are intrusive for several reasons: they can significantly disrupt the flow of the learning process, they may modify the learner’s motivation to participate, and focus his or her attention on unintended areas, thus reducing the authenticity of the collected data (Reid et al., 2011).